Addressing up to 4,000 DL envelopes per hour, the AS-520C is the perfect printer for offices and small mail operations that don’t have the volume to justify a large expenditure. The AS-520C is built with high-grade steel and metal construction to provide unsurpassed reliability. 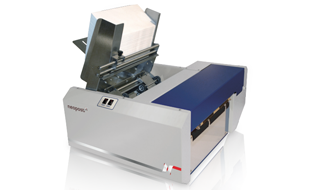 Contact us to see what this Envelope Address Printer can do for your business!